When going to hospital Mums are advised to bring some cotton wool to clean baby's bottom and parts when they need a nappy change. However, this time I will be bringing some Water Wipes with me. Water Wipes are the world's purest baby wipes ever. They are perfect for a newborn's sensitive skin. Many wipes out there are fragranced and can make their skin a little sore. 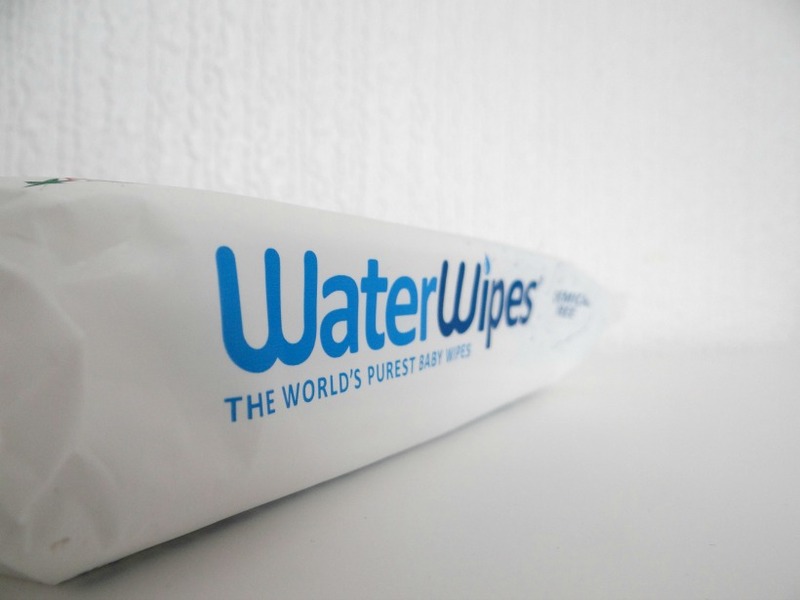 Water Wipes are chemical free, 99.9% water and just 0.1% fruit extract. Perfect for a newborn and older babies. Edward McCloskey, WaterWipes creator wanted to know why his first daughter was developing a bad nappy rash. He took a look at the ingredients of the baby wipes he was using and was extremley shocked at the amount of chemicals there was in them. After hard work and a lot of research and everything else involved he inveted a chemical-free, gentle and safe baby wipes, WaterWipes for baby's skin. When I opened the packet I was really pleased with the how wet the wipes were. Not often will you get wipes that are purely wet. However, it does say on the back of the packet that the top wipes can get dry because they don't use chemicals to "bind" the liquid to the wipes. All you have to do, if this happens, is turn the packet upside down and squeeze and the water will go through the wipes. I was also sent some WaterWipes cleansing wipes. I don't wear make up often but when I do, I hate the part of taking it off. The wipes I have for the girls are the minute really burn my face and I have used a few other facial cleansing wipes in the past and they burn my face too. The feeling of it burning really does go through me. So I was interested in trying these sensitive facial wipes out. It did exactly what it says on the packet! It didn't sting me, the make up was removed easily, no burning feeling and no tight feeling on my skin either. I will be purchasing these again, as well as the baby wipes. They also made me feel really fresh. These wipes are made only using 3 ingredients: water, dead sea minerals and fruit extract. They are free from chemical preservatives and other ingredients that you can find in other facial wipes. * I was given wipes free of charge in return of an honest review. 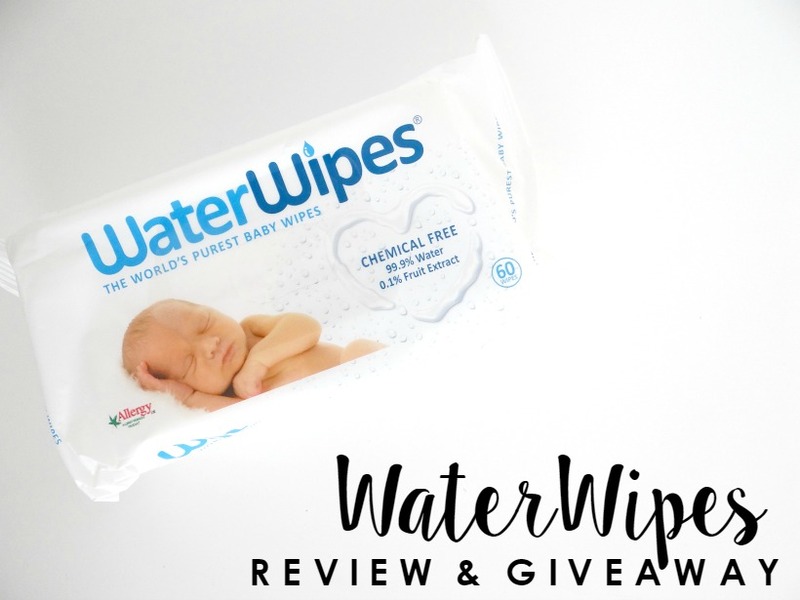 If you would be interested in reviewing some packs of WaterWipes all you have to do is enter the Rafflecopter below! Please read the Terms and Conditions first before entering. Terms and Conditions: Please enter by using the rafflecopter below. No cheating - you will be disqualified. Giveaway ends 21st May 2016 at 11.59PM. Winner will be contacted via E-mail within 3 days of giveaway ending. Winner gets 14 working days to reply to e-mail, otherwise I shall choose another winner. Good luck. These sound great! Great competition! Good luck to all entries! Sound great, I've entered as my little boy has sensitive skin I'd love to give these a try. I keep hearing about these but have never had a chance to use them. I love that these are so safe for the little ones. You can really never have enough baby wipes! I like the sound of the facial wipes. We are going on holiday on a boat and I think they would be perfect to take along. I love the sound of these, always seems strange to be wiping nasty things over a baby's skin! I have always heard great things about these wipes! I will have to let my friends who are expecting babies know about them. I have used this before. I love it. Although all of my children are well past the nappy stage I find baby wipes to be one of the handiest things ever still. These sound great! These sound great! I also like to use a wet wipe on my face, but hate the ones that burn! 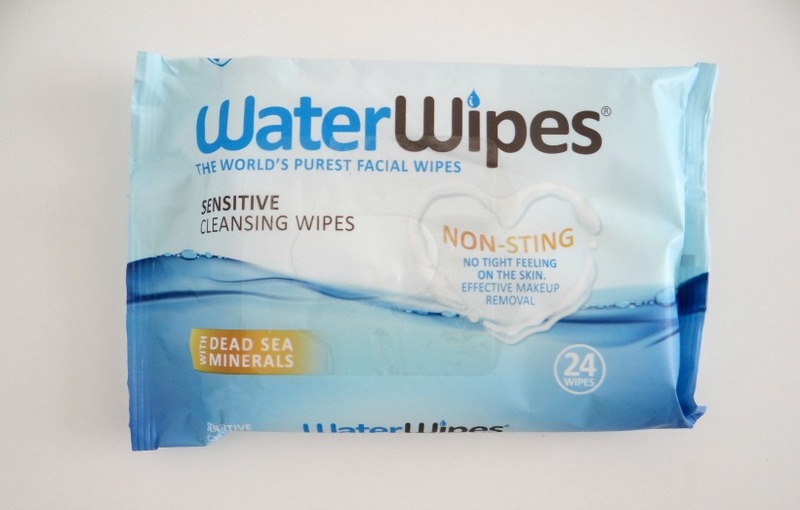 I don't normally use wipes for my face but am interested to try some for when I go swimming and 30 seconds before going in I remember I haven;t removed my mascara! These sounds amazing! I didn't know a product like this existed. Thank you for sharing! I have sensitive skin as well! I have been looking for wipes that wont actually irritate my skin It is great they do baby wipes as well! Cutting back on spending and using products that are more natural is something many folks are trying to do these days.